Dental crowns can be made from gold, ceramic, or a combination of metal and porcelain. These restorations are versatile and popular in dentistry, so there’s a good chance that you may need one, some day. One or more of these signs, however, could suggest you need a new dental crown right now. Tooth enamel protects the weaker, inner layers of your tooth. If you have a tooth that’s lost a lot of enamel to acid erosion or teeth grinding, then it may be extremely sensitive. A crown can protect your bite and give you some relief. Dental crowns are usually the first treatment option to consider when you have a cracked or chipped tooth. Crowns add strength to teeth that have been weakened by trauma. Some cavities leave behind holes that are just too large for a filling to fix. 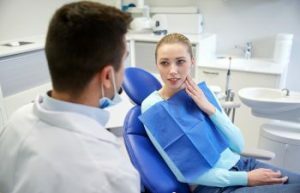 You probably need a dental crown if you have a large cavity, even if it doesn’t hurt. Do you already have a crown? As great as caps can be, the bad news is that they don’t last forever. A loosened or chipped crown is often a sign that it needs to be replaced to keep your tooth healthy. Most molars that have root canal treatment are too weak to withstand the forces of biting and chewing. 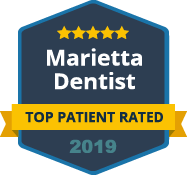 Your Marietta restorative dentist will likely encourage you to get that tooth covered right away if it doesn’t already have a crown. 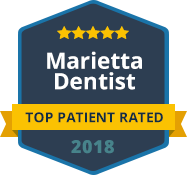 Call Dental Care Center at Kennestone today if you think you need a dental crown.